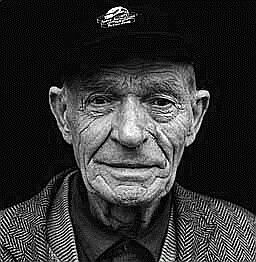 Bob Doyle (Feb. 12th 1916 - Jan 22nd 2009)- A collection of speeches, articles and obituaries. "You can go proudly. You are history. You are legend." 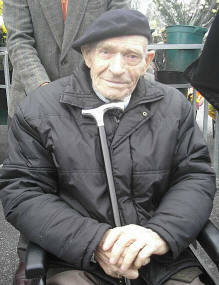 It is with great regret that I pass on the news that Bob Doyle, one of the last two Irish International Brigaders, has died in London, aged 92. 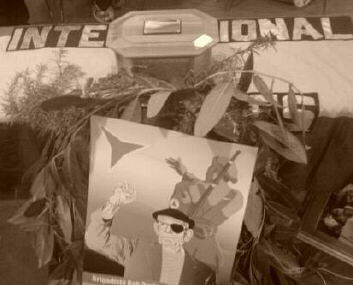 The initial statement from Marlene Sidaway of the IBMT and a statement by Manus O'Riordan are available here. At this emotional time for his family and friends, the best I can do is to offer my personal condolences and to remind everyone that Bob kept saying - the struggle goes on! 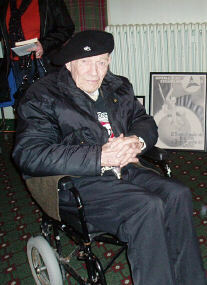 Bobs memorial event was in Dublin on Sat 14th February (2 days after his 93rd birthday). The crowd of about 500 assembled at the Gardens of Remembrance, Parnell Sq, 12.00pm and marched to Liberty Hall for the memorial event. This was a great event, attended by a wide spectrum of political groups, along with representatives of veterans families and groups in Ireland, Britain, Spain and further afield. A full report will follow in the next few days. 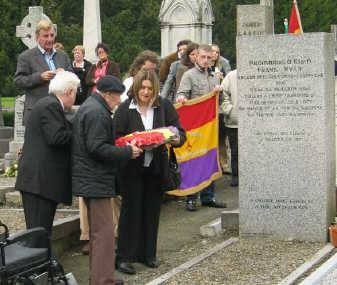 The Irish Times carried a report quoting Harry along with Seve and Anna (2 who'd travelled from Spain), Dublin honours veteran of Spanish Civil War. They say there was 300, my estimate would be closer to 500. Manus O'Riordan has sent out this brief report, while this very good one appears on Indymendia. Part 3 Robert Doyle reading one of Bob's speeches, with Brenda O'Riordan playing harp music. A friend baked this marvellous celebration cake. This poster was the centre piece of the entrance of Liberty Hall. Bobs casketalong with a commemorative poster. One review on Amazon says:- This is Bob Doyle's account of a life of struggle and hardship that is difficult to imagine these days, brought up in poverty his father away at sea and his mother in a mental asylum. Mercilessly beaten by the catholic nuns during his school years as so many were, Bob was reunited with his family in Dublin's tenements. He was a committed anti-fascist and during the 1930's fought against the Irish Blues shirts, from joining the IRA he moved on to the Irish Communist party. 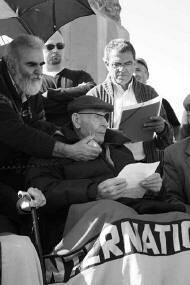 On his own he set forth to Spain to fight for the democratically elected government against the fascist backed coup. He was captured by the Italians and tortured by Spanish prison guards before being handed over to the Gestapo for interrogation. Once he was taken outside to be shot but was repreived. he witnessed some dreadful acts of brutality by his fascist guards. Later Bob Doyle was exchanged for Italian prisoners. 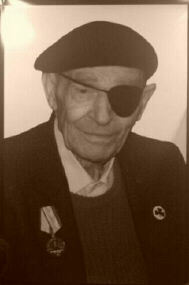 On return to the UK he served in the merchant navy and as a firewatcher during the blitz of London. This is a fascinating tale of bravery from just an ordinary working man who believed passionately in freedom and justice for all. It is an uplifting story. There are a few more photos by me, along with a lot by some more professional people available here. SIPTU General President, Jack O'Connor, encouraging attendance at the Commemoration. This small group of photos is just to give an idea of how busy Bob was last year. I'm so sorry to have to tell you that Bob died yesterday evening. Max and I went to see him last Saturday, and although he perked up a bit while we were there, it was obvious that he was very ill indeed; he'd had 2 bouts of Pneumonia, two slight heart attacks, and numerous infections. A fighter to the end, truly a rebel without a pause, we will all miss him so much. I will put a notice in the Morning Star, Robert will let me know when the funeral is, and I will let you know, it may be that it is a small family affair. 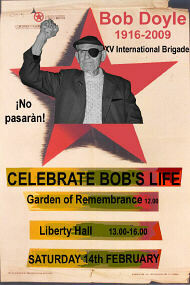 In any case, we have decided to devote the morning of the Lecture day at the Imperial War Museum as a tribute to Bob. Showing a film which he made some years ago, and I shall ask Harry and members of the family to share the story of his life, and their memories of him. He was a true fighter and believer in democracy and will be remembered. Sad news indeed. Bob Doyle was in good form when I last saw him in October, and I recently dug out my VHS copy of the Video Diary he made for BBC TV on his return to Spain in 1993, to remind myself of the inspiration he gave to so many. His speech to the assembled worthies at the lunch in Barcelona in October was as fiery as ever; his anger never wavered, and he remained true to the cause of his vision of fair play and anti-fascism. A great Irishman, and a great Brigader. That's very sad news - I feel privileged to have met him. 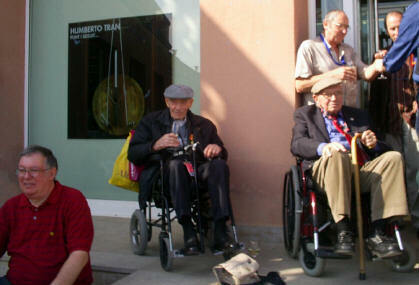 A great loss to his family but he's back with his old comrades now. RIP Bob. 'Over the past 30 years it has been a privilege to encounter Bob Doyle at various gatherings in London, Dublin and Waterford. 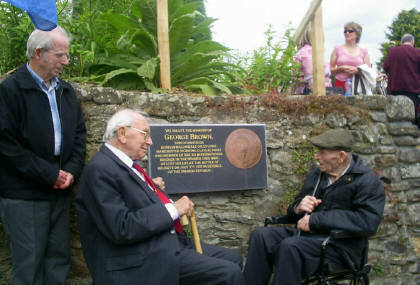 I have long admired his zest for life and his willingness to go to any lengths to commemorate his fallen comrades'. Christy Moore. 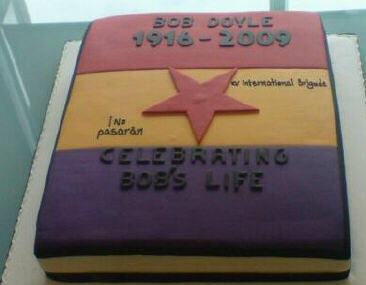 'Despite, defeat, capture and imprisonment, Bob Doyle emerged from Spain with his faith in humanity undiminished... this marvellous book must inspire anyone who did not fight in Spain to know more about the anti-Fascist struggle that unfolded there'.....Paul Preston, Professor of International Studies, London School of Economics. The Memorial Booklet used for Bob's Funeral. Bob Doyle: 12th February 1916 - 22nd January 2009: 'An Unusual Communist' - An obituary and then comments on Indymedia - includes his last interview with him, Nov. 2009. That is 8 minutes on video. A lifelong fight to put people before profits Camden New Journal, Jan. 29th. An Phoblacht obituary Jan. 29th. President of the Workers’ Party, Michael Finnegan Workers Party President pays tribute to Bob. About 20 Photos are now online Thanks to Paddy Mackel. The text of Bobs short speech is now available. Report from Unity on the success of the Belfast meeting and the tour generally. Report from the Sligo Champion on that packed meeting. The Irish News (18th) and the Sunday Life (17th) both carried small photos of Bob, but no real press report. Photos will be added here later. On the day of the unveiling, the Irish News carried an article, here it is. The Newsletter carried a report, on August 31st, about the planned Belfast meeting. The Irish News, August 29th, carried the following note about Derry: The last surviving Irish member of the International Brigade from the Spanish civil war is to stage the northern launch his memoirs in Derry. Bob Doyle will visit the city as part of a series of events to commemorate those from Derry, Tyrone and Donegal who fought against Franco's troops in the 1936-39 war. The launch will take place on Friday September 15. Letter in An Phoblacht, July 6th about the book. Waterford Today review, July 4th 2006. Last fighter of fascists tells all. David Lynch wrote this article in Daily Ireland, July 3rd, after the initial launch of Bob's book. Brigadista:- Reviewed in Village magazine. In tribute to BOB DOYLE – The last Irish Brigadista: General Lister's Last Command By Manus O'Riordan, July 06. The banner man: Bob Doyle interviewed in The Guardian 'I don't know how I wasn't killed' Interviewed by Paul Howlett, Friday November 10, 2000.